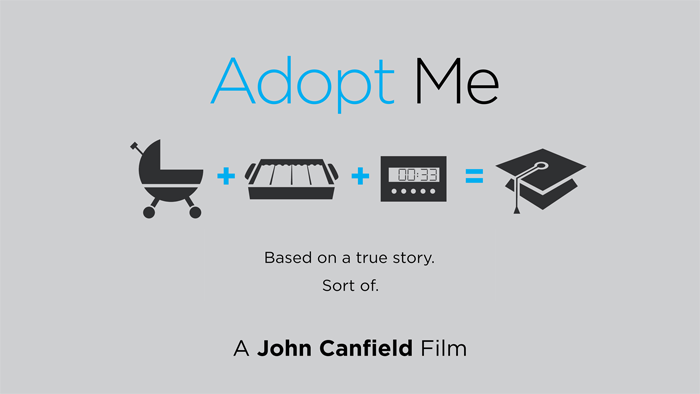 A few weeks ago I finished my newest short film, Adopt Me. It’s been an astonishingly long 2 and a half years since I wrote this project, and I’m incredibly excited to finally call it done. I’m now in the process of submitting it to various festivals in New York, LA, and other cities scattered throughout the United States. Hopefully this is the beginning of the film’s life instead of the end. Most film festivals have restrictions about online viewing — they want you to be able to see it on the big screen first, so I can’t release it to the general public just yet. Once the run at festivals is complete, I’ll be able to share this film with everyone. Update: Screening at all festivals is now complete. Here’s the finished film!